Apple has done a pretty comprehensive job of including most of the things that the majority of iOS users would actually need from their daily mobile device usage. Access to the App Store, messaging and email, as well as a feature-rich calendar experience are all staple parts of the iOS ecosystem. 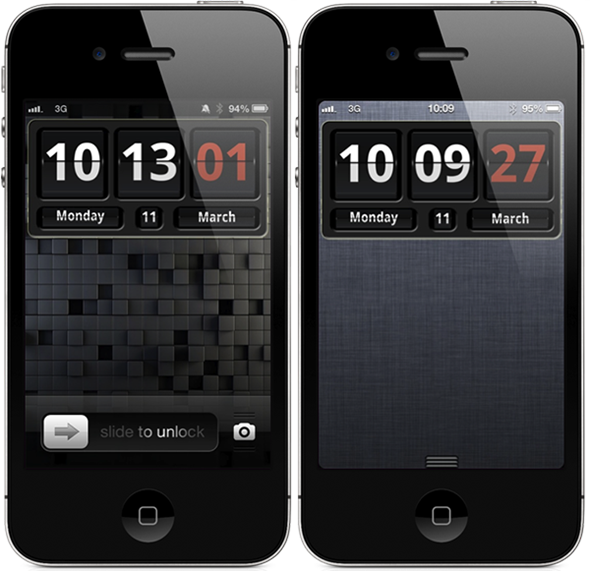 Live weather feeds, access to social networks and financial information are all just a screen away, but what if you wanted implement a new and attractive way of telling the time on a jailbroken iPhone or iPod touch? Well, you would use the new animated Flip Clock for Notification Center widget of course, which is styled after HTC’s iconic flip clock which we’ve known for years. If you have unlocked your device, scrolled through any of your home screens and still haven’t managed to work out what the current time is, then dropping down Notification Center with this latest widget installed is sure to get the job done. The Flip Clock for Notification Center package contains everything that we would expect from an attractive and functional digital time piece, and even comes with some nice little customization options to allow users to tweak it to suit their own needs. The installation comes with the ability to set it to show a 12 or 24-hour clock format, depending on personal preference, as well as going to the extra lengths of having the current day and date placed nicely along the bottom of the clock. A flip clock would be pretty boring if it only animated every sixty-seconds, which is why this particular creation stands out with the interactive seconds counter that can be customized to be either white or red. Additional setup options also include the ability to specify a bounce or glass reflection effect on the clock, as well as deciding whether or not the time and date should be displayed or just the animated time. As an added bonus, the tweak can also be added to the home screen or lock screen through the installation of additional packages such as DashboardX or LockInfo. Flip Clock for Notification Center is available as a $0.99 download from the BigBoss repository and is fully compatible with jailbroken devices running iOS 5 and 6.